Cathy Charles an,artist from Miami,first became artistically inclined when she was about 5 years of age and held her first portfolio belonging to an Aunt. The portfolio held very detailed caricatures of famous celebrities. Cathy was so inspired by that work that she started to spend hours trying to master the style and techniques. Art became therapeutic for her and has been her best outlet of expression. Although she may question many things in her life, she knows that if she has done anything wrong, art has always been right. The inspiration of her own art stems from her passion for the African Diaspora. She states, "I am inspired by the fact that brothers and sistas are not represented to the capacity that they could be. That is something that needs to change." Thus, every piece of work she makes is a reflection of herself. Her cultural experiences and thoughts are so strong, that it needs to shine through and be shared with people who are just like her. 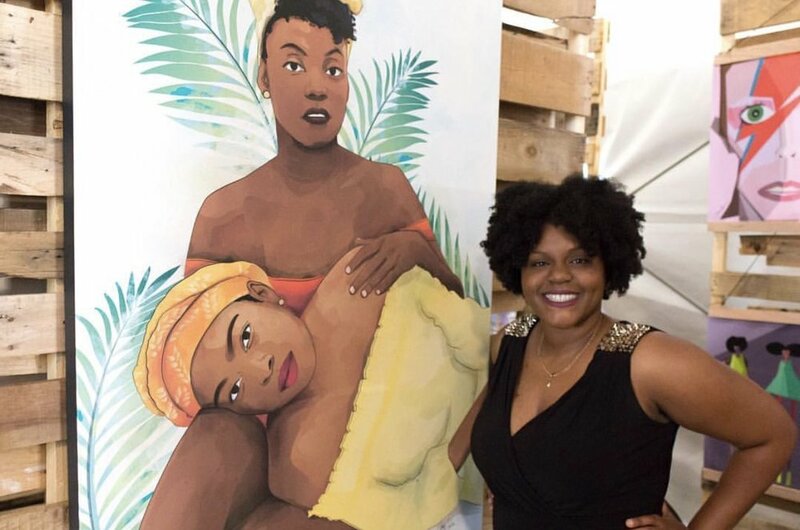 For Cathy, being a woman and being black is everything that her art is. Her art is more than just a hobby it's both a lifestyle and a career. With that Cathy one day aspires to work as a full-time fine artist, teach, and own an art gallery in South Florida. When people look at her work she wants them to think classic, and timeless. She strives to create impactful, empowering images and hopes to unlock the beauty in the "little things". She prays that that beauty is conveyed in all her work. Cathy wants people to appreciate her art and art in general due to the fact that It's a beautiful underappreciated thing.